Our capers grow in Salina , the greenest of the Aeolian Islands . 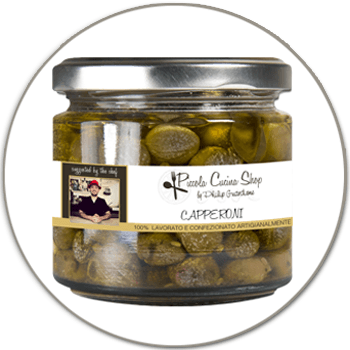 According to the ancient tradition Salina capers were served at almost every meal and on every occasion. We were inspired by this when creating our Sicilian Flavoured Capers with white balsamic vinegar, mint and a little garlic making them a delicious addition to many dishes. Excellent also with tomato and mozzarella salad. Try fried as fingerfood for aperitivo.